Blurb: An incredibly nice guy turns into an irresistible flirt and learns the fine art of seducing women. A hilarious and heartwarming novel with some surprising nuggets of wisdom. Links to the book will be available after the release of the Juggernaut app! Toffee is just another Indian youngster who became an Engineer first and then discovered his true calling. He was a typical Sharma ji ka Ladka, until Engineering happened and changed his life completely. After surviving college, he joined a reputed MNC as a Software Analyst, but a dramatic turn of events made him an author. Toffee is passionate about writing, so much so that he writes code by the day and books by the night and does everything else in life in between. A huge Rajkumar Hirani fan, he loves writing stuff that is both entertaining and insightful. And through his books, he wants to narrate stories that touch people's hearts and change a part of their life, forever. Toffee’s first book titled ‘An Idiot, Placements and IntervYOU’ was published by the Times Group Books and it went on sell around 5000 copies. 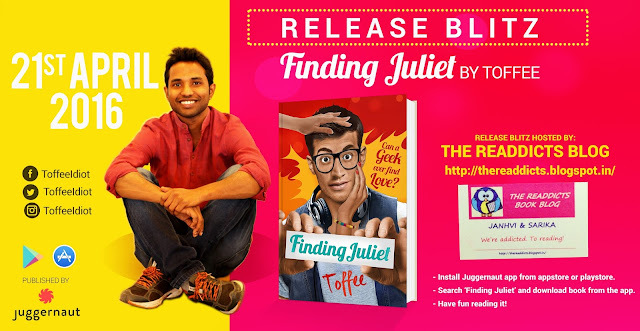 ‘Finding Juliet’ is his second book and Juggernaut Books is publishing it exclusively on their mobile app. 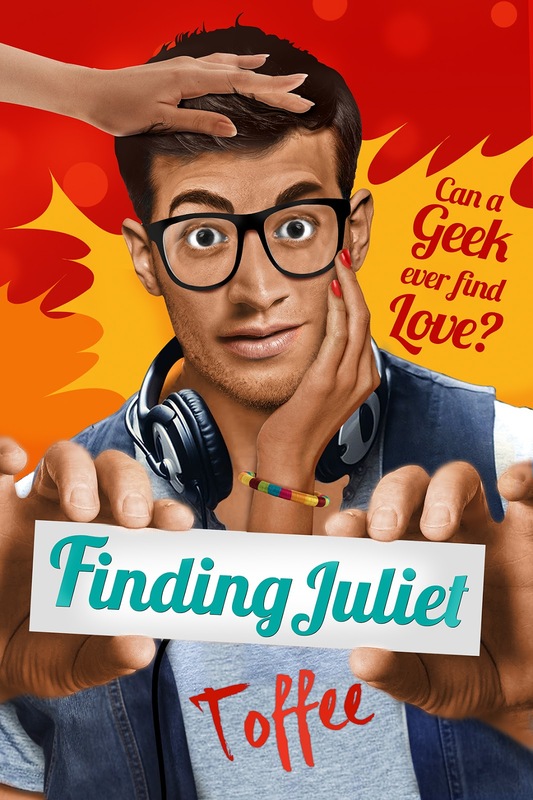 Thank you so much for being part of the blitz and for helping spreading the word about Finding Juliet. Appreciate it!